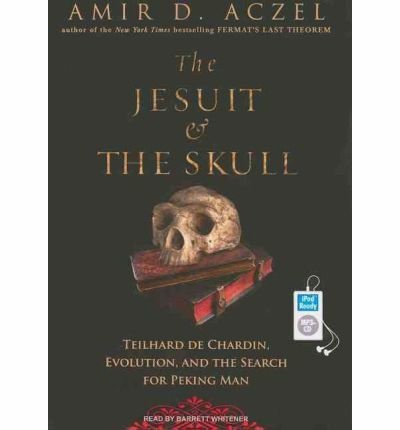 In December 1929, in a cave near Peking, a group of anthropologists and archaeologists that included a young French Jesuit priest named Pierre Teilhard de Chardin uncovered a prehuman skull. The find quickly became known around the world as Peking Man and was acclaimed as the missing link between erect hunting apes and our Cro-Magnon ancestors. It also became a provocative piece of evidence in the roiling debate over creationism versus evolution.For Teilhard, both a scientist and a man of God, the discovery also exposed a deeply personal conflict between the new science and his faith. He was commanded by his superiors to deny all scientific evidence that went against biblical teachings, and his writing and lectures were censored by the Vatican. But his curiosity and desire to find connections between scientific and spiritual truth kept him investigating man's origins. His inner struggle and, in turn, his public rebuke by the Catholic Church personified one of the central debates of our time: How to reconcile an individual's commitment to science and his commitment to his faith.In The Jesuit and the Skull, bestselling author Amir D. Aczel vividly recounts the discovery of Peking Man, its repercussions, and how Teilhard de Chardin's scientific work helped to open the eyes of the world to new theories of humanity's origins that alarmed the traditionalists within the Church. A deft mix of narrative history and a poignant personal story, The Jesuit and the Skull brings fresh insight to a debate that still rages today. About the Author: Whitener has recorded audiobooks for many audio publishers. His voice has also been featured in a variety of instructional and entertainment programs. His recordings have received numerous awards, and he was cited as a "Voice of the Century" in AudioFile Magazine. Note: This mp3 audio book is in mp3-CD format. This signifies it will only run on a cd player particularly equipped to run mp3-CDs. It also can be installed onto a computer system and duplicated over to a mixture of mp3 players and played on them.